MultiChoice Universal valve body only (High Flow with Stops) for use with MultiChoice. Universal single or dual function trim can be tested with air (200 PSI) or water (300 PSI) without valve using supplied test cap. This valve with square plasterguard allows for right angle cuts. MultiChoice Universal valve body only (Pex Crimp Connections with Stop with UN Outlets) for use with MultiChoice Universal single or dual function trim can be tested with air (200 PSI) or water (300 PSI) without valve using supplied test cap. This valve with square plasterguard allows for right angle cuts. Add the Delta Pair of Leland Lever Handles in Chrome and Polished-Brass for Bidets and 2-Handle Faucets to your sink (not included) to create a stylish custom touch. These ADA-compliant lever handles feature a chrome finish with polished brass elements and are constructed from durable metal. 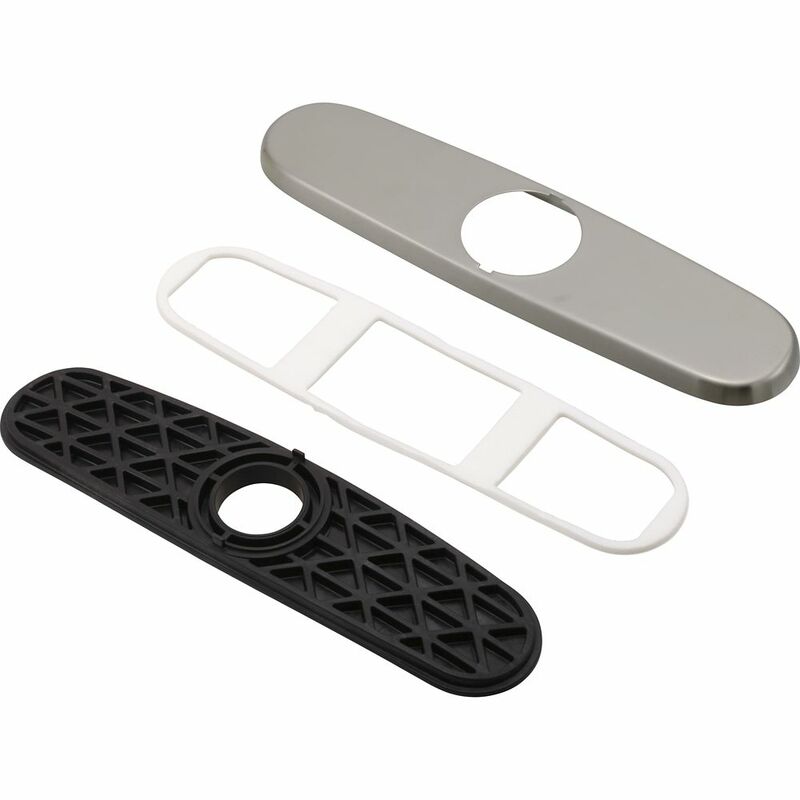 Escutcheon, Base, and Gasket Install this escutcheon to cover up unused holes on your kitchen sink.